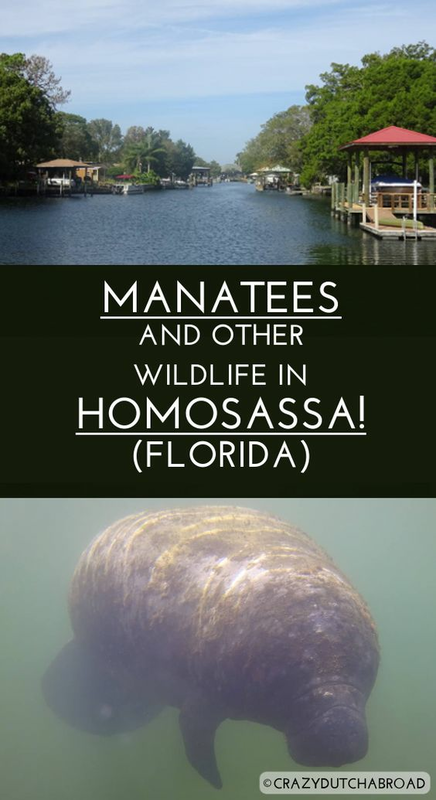 Manatees and other wildlife in Homosassa! Imagine yourself early morning sailing on a quiet river while watching eagles in the sky and squirrels running in the trees. Slowly and peacefully drifting to the clear river beds, searching for grazing sea cows. 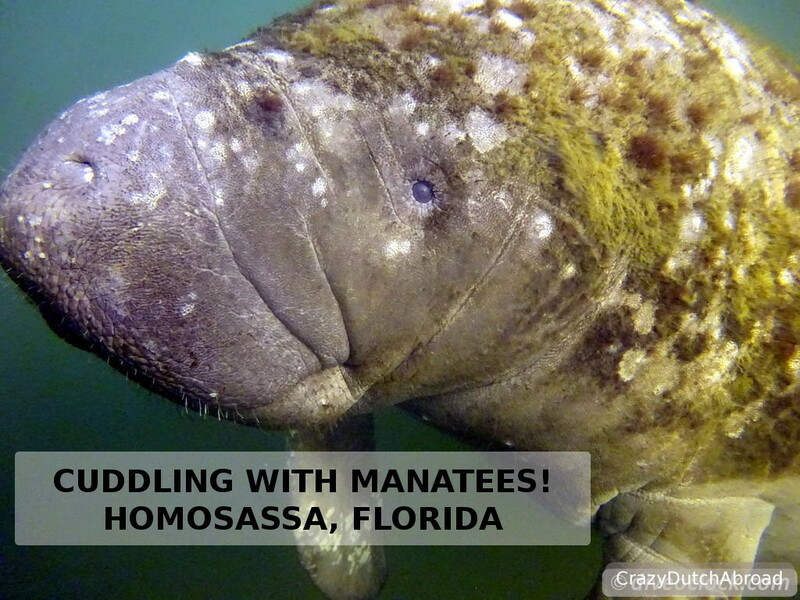 Florida is home to the Manatee sea cow and they are everywhere. From the famous Crystal River to the Homosassa River, the Manatees love the warm water of the Crystal River National Wildlife Refuge. With calm rivers, a countryside ambiance with boathouses and some waterfront restaurants this is the place to relax and enjoy yourself. 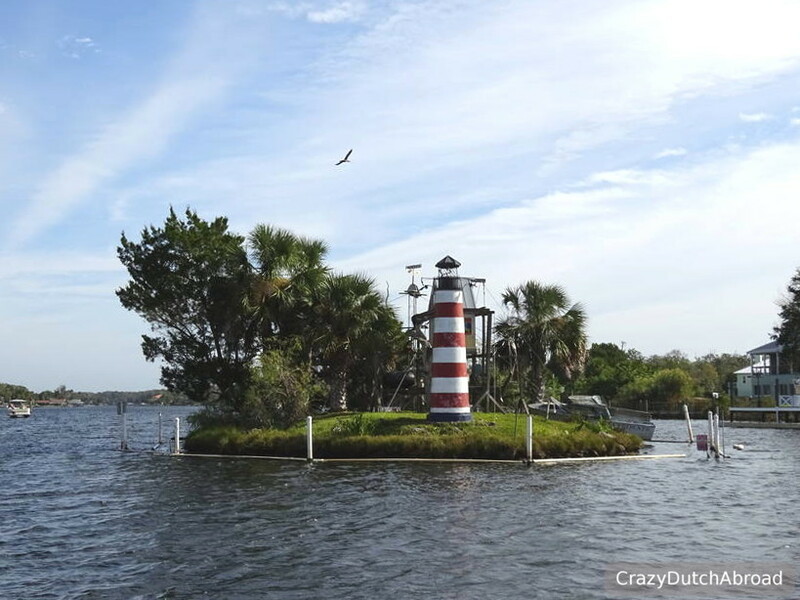 Make sure to spend a few days in Homosassa, it gives a great variety to your vacation if you combine it with Orlando, Miami or the Florida Keys. 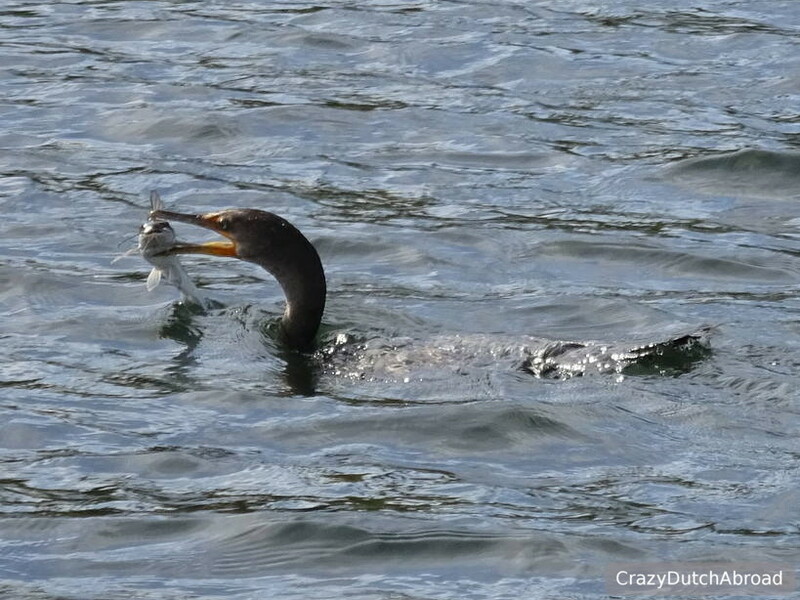 Things to love about Homosassa! We came here for the Manatees and were not the only ones. This area is all about the Manatees, they are like a mascot or regional symbol. From the Manatee shaped post boxes in front of the houses to Manatee shaped door knobs and from Manatee jewelry to Christmas decorations, all is there. It is big business and also part of life around here. You can read all about snorkeling with the Manatees here. As cheesy as it sounds there are a few Spider monkeys living on a small island in front of and owned by the Homosassa Riverside Resort. A famous dish around the Southern States is hushpuppies. Knowing only Slush puppies, the bright colored frozen drink, we had to ask and try it of course! It is hard to compare it with anything but I guess potato croquettes are close. Deep fried dough, possibly with corn, is handed out with a sauce (as most of the things come with sauce around here) and eaten as an appetizer. Being a non-potato lover (and Dutch - strange combo I know) it was not that interesting for me - but give it a try! This is a rehabilitation center for injured animals including manatees and one retired movie star hippo. We would have loved to go here. It costs only $13 and seems to be more about protecting the wildlife than making money out of it. We did not have enough time unfortunately. Apart from the fact that coordination and technique are required to a certain point - which I lack but laughs guaranteed - we did not want to spend more money here. 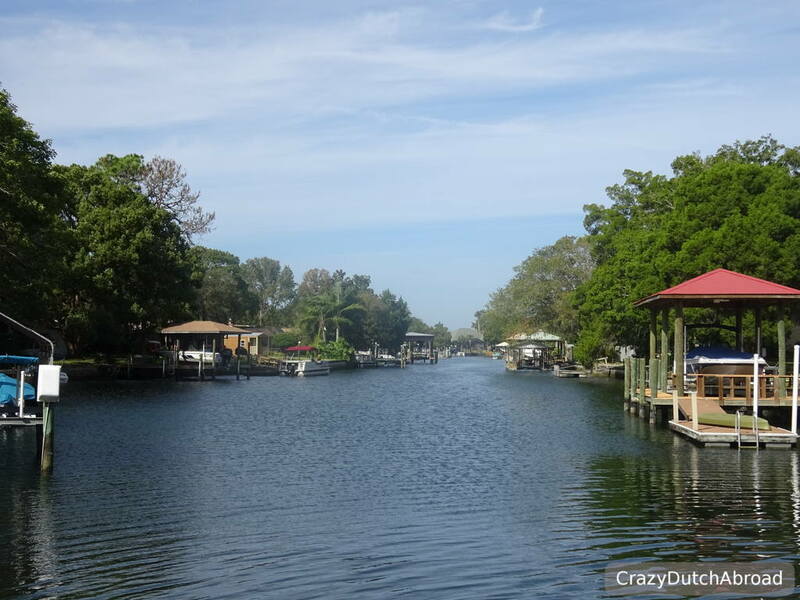 Strip with bars There is no strip but you can find a few lovely waterfront restaurants in Crystal River and Homosassa. Taxi Did not see any - rent a car! Uber Did not check - rent a car! 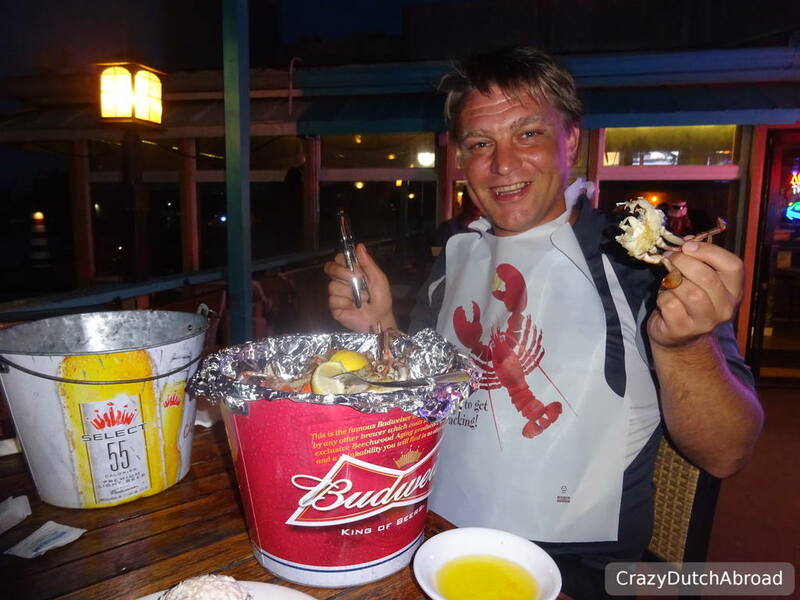 Everybody seemed to eat blue crab around here. I hate struggling with food so I ordered a lovely smoked fish paste but Robbert-Jan wanted to go for it - 'like a local'. Two hours later he was still cracking the legs of these tiny crabs but I had a great time! This was at the Riverside Crab House.